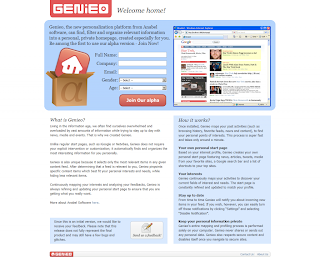 Genieo - Register to our alpha program - Adding New Sites Every Day ! Adding New Sites Every Day ! 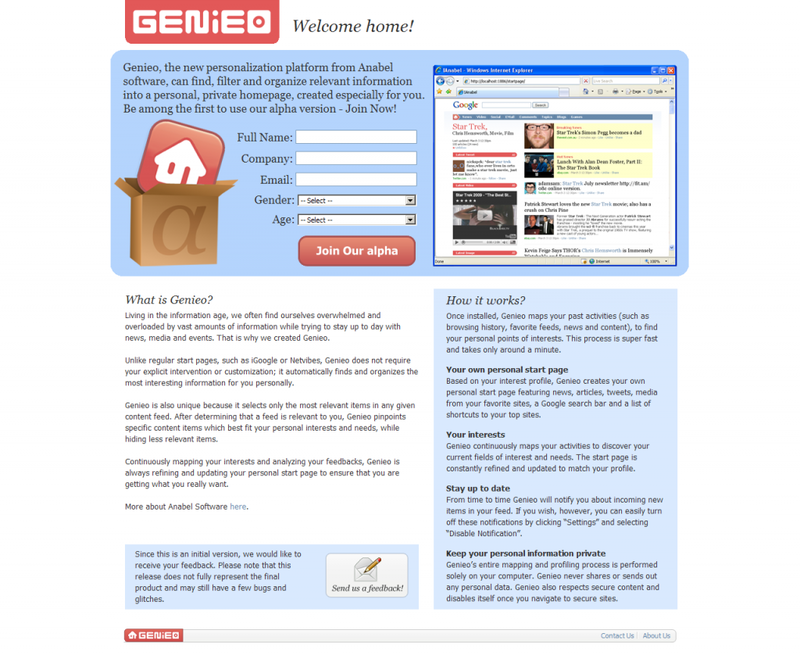 Genieo, the new personalization platform from Anabel software, can find, filter and organize relevant information into a personal, private homepage, created especially for you. Be among the first to use our alpha version - Join Now! Flag Counter » Get your own Flag Counter ! I am a web designer from Tirunelveli, India. I first started working on small designs, Now i started to expand my work to a full range of design/branding on screen.